A walking holiday on the unspoilt and less travelled Sheeps Head Peninsula, the least spoiled of the promontories in the southwest of Ireland. 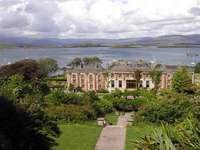 This 8-day walking holiday starts and finished in Bantry. Arrival to Bantry. Arrival in Cork. 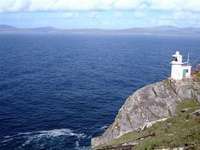 Travel by scheduled bus service to Bantry, lying sheltered behind Whiddy Island. 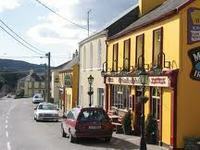 Bantry is the market town of southwest Cork and an ancient port facility. The deep waters have hosted a succession of fleets, French, Spanish and British which add to the good looks of the natives! Gulf Oil came in the 1970’s to build an oil terminal. 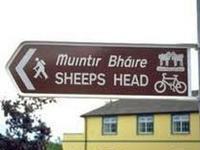 In order to make the best of the route, your first night is spent 5km from Bantry at the start of the Sheep’s Head Way. Bantry to Glanlough along the coast. The route starts on small farm access lanes from Dromcloc Farmhouse and climbs one of the mountain roads that cross the peninsula. At the top, it is out onto the hills, a glorious ridge walk through sheep grazing country to 223m, before descending to Glanlough and Seamount Farmhouse. Distance 14km. Ascents 285m. Approximate walking time 5 hours. Glanlough to Kilcrohane. 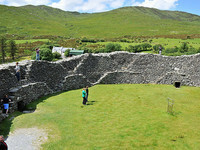 Your hosts will assist you today with a route to Kilcrohane. The ridge walk continues over Gouladane, from where you can descend to Gortnakilly or continue on the ridge to Seefin, the highest point of the peninsula at 345m. The walk finishes at Kilcrohane village from where you will be transferred back to Glanlough. Distance 13km. Ascents 385m. Approximate walking time 6 hours. Kilcrohane to Tooreen, the end of the peninsula. Your hosts will return you to Kilcrohane. The Way follows the exhilarating coastline of the western end of the peninsula through ruined villages, the Gortavallig Copper Mines to Bernie’s Café at the edge of the world! Your host for tonight will collect you at this point and transfer you to Reenmore. Distance 14km. Ascents 110m. Approximate walking time 4 hours. Tooreen to Kilcrohane. Your hosts will transfer you back to Tooreen. 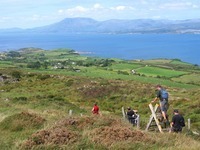 Walk to Kilcrohane along the southern coastline of the peninsula. After the initial climb to the remains of a 17th century signal tower, today’s walk is on lower ground through farms and townlands to return to Kilcrohane village. Your host will collect you and transfer you to Reenmore. Distance 16km. Ascents 200m. Approximate walking time 5 hours. Reenmore to Durrus. The route follows old paths and droving roads through hillside farms to Durrus, the largest village on the peninsula. There are many pre-Christian remains, standing stones, wells, burial grounds, indicating the ancient importance of the area. Distance 16km. Ascents 280m. Approximate walking time 5 hours. Durrus to Bantry. 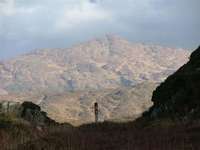 Leaving the seascapes behind, the route follows the Four Mile Water valley before climbing through forest to Barr na Gaoithe, the Top of the Wind. A short climb completes the hill walking before descending on minor roads to Bantry town, through the grounds of majestic Bantry House. Distance 17km. Ascents 190m. Approximate walking time 5 hours. Departure from Bantry. Scheduled bus services from Bantry to Cork for onward connections.